A noticeable trend in lightweight, packable, minimalistic, mountaineering-style harnesses is being ushered in partly due to the increasing skimo (ski mountaineering) culture in Europe, which is now percolating into the U.S. With new offerings from Black Diamond, CAMP and Petzl being release in spring-summer of 2016, the bar has been raised. 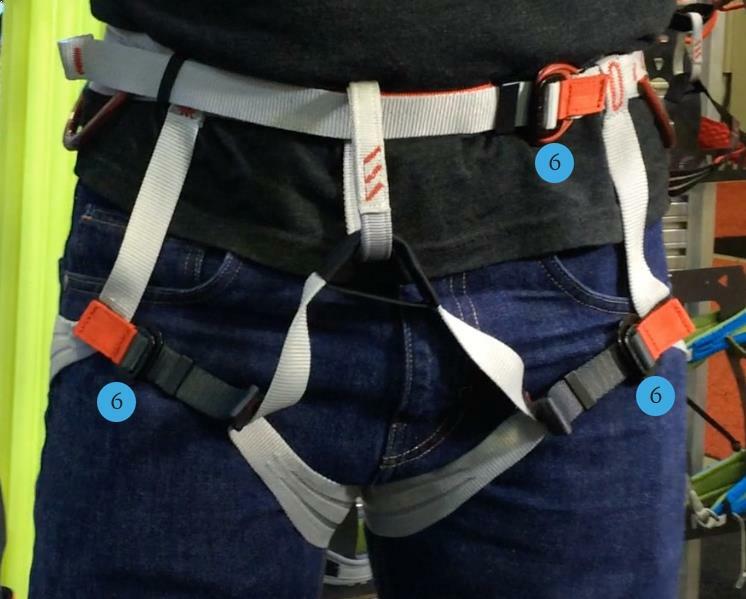 Each of these new harnesses have the ability to unbuckle completely – so you can put them on easily even while wearing skis or crampons, or if you find yourself in a precarious position with the need to rope up. 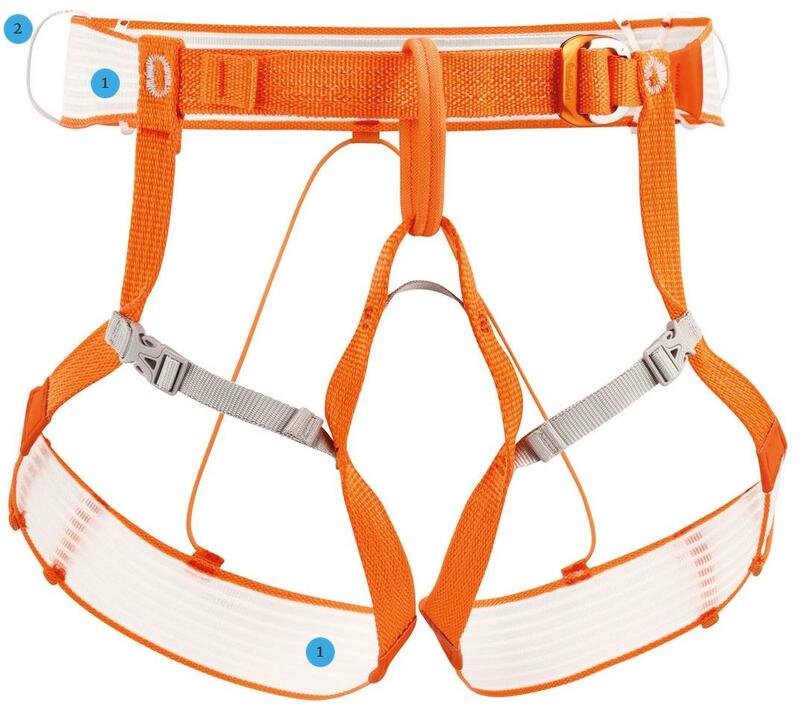 Although extremely light, each of these harnesses also pass all harness safety tests. Though they are specialty harnesses, designed for a specific purpose: going fast and light in the mountains. They’re not meant for projecting rock climbs (they won’t be particularly comfortable while hanging or falling in, not to mention the challenges of racking) but with technology advancements the comfort in general far surpasses previous harnesses in this weight category. Of course, to decreases weight materials are reduced, which could create durability issues if not used for their intended purpose. When used for glacier travel, mountaineering, skimo or other climbing scenarios with a low likelihood of experiencing excessive abrasion agains rock, durability should not be a concern. Fusion Comfort technology – introduced last summer in the Solution harness. It’s lightweight, folds down small, and increases the comfort without adding padding by dispersing the load. Since there is no padding and the body is made from water-shedding material it shouldn’t take on any extra water weight nor should it freeze. Two gear loops (1 on each side). The gear loops are minimal so they won’t interfere with a pack on. One ice screw keeper per leg loop to keep your ice screw from clanking around all day while you walk or skin. The ice screw keeper loop has a plastic coating and the area around it includes an anti-scuff patch so the sharp threads and teeth won’t wear through the harness leg loops. Easily adjustable speed buckle (smaller than the previous Couloir buckle) on the waist. Drop seat. The drop seat buckle is lowered from the waist belt to avoid pressure points of a pack. Purposefully no haul loop so it can’t interfere with a pack and because hauling is a rarer occasion on with this type of harness. Note: The previous BD Couloir used nylon webbing for the entire body and was 230 grams. Laminate webbing construction makes for a really lightweight and supple body (waist and legs). The webbing won’t collapse, roll, or kink when it’s weighted (a common complaint of nylon). Two main gear loops (1 on each side), encased in plastic for durability. If you want more gear loops, you can easily create them using the ice clipper slots and some extra cordage. One low-profile utility/haul loop in the back. Six ice clipper slots (around the harness, wherever you see two vertical lines of red stiching). Drop seat that allows both legs to disengage at once. Sturdy metal buckles throughout the harness that are adjustable even with gloves (no other harness on this list includes metal buckles for the legs). Note: CAMP’s Alp Racing harness, that also uses their laminate webbing construction, is only 92 grams (it’s the lightest harness available commercially), as it comes stripped of any “extra” features – no leg buckles or drop seat. The CAMP Air is also lighter at 240 grams, but it doesn’t have adjustable leg loops either. Dyneema strings run through the body of the harness to provide the strength and stiffness while significantly reducing bulk and weight compared to nylon. Two vertical gear loops on each side. These loops look minimal, but since they’re made of Dyneema they’re actually stronger than the gear loops found on any of Petzl’s other recreational harnesses. These gear loops will fold down nicely when used with a pack. Note: No specific ice clip holders. Double loops on each leg to immobilize an ice screw. The loops are actually plasticized elastic, so they won’t be easily damaged by the ice screw and the ice screw won’t be moving anywhere. Note: Testers have been claiming that this harness is as comfortable as previous models of the Hirundos harness (or check out the current version of the Hirundos). Nylon construction helps reduce the cost (making it the cheapest harness on this list) and avoids padding that might freeze / collect water. Four nylon gear loops (2 on each side of the harness). The loops are positioned vertically so they can compress more easily under a backpack waist strap. There are dedicated ice screw loops (doubly secured) on each leg to secure an emergency ice screw. Note: There are no ice clip holders on the waist belt, but if a screw hung from the gear loop, it will be able to feed into the screw holder on the leg loop. Can’t wait for these harnesses to come out?